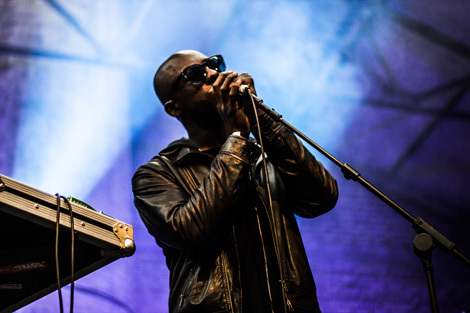 Musicians Against Homelessness and the charity Crisis are teaming up with some of the regions top talent to raise both awareness and support in the form of some live events. Whether you’re wading your way up Bold Street, or battling through the masses in Liverpool One, homeless is a clear issue in our city and something we all witness, much of which on a daily basis. It is a problem that is unfortunately growing, but one you can help with. Hangar 34 is the first to play host to the MAH event taking place on September 2 and 3. The events will include the likes of Xam Volo, Sugarmen, Red Rum Club and The Sundowners, along with a DJ set from our very own GIT Award winners, She Drew The Gun. Not only are there some truly wonderful acts to see, but you’ll be supporting a very worthy cause as ALL proceeds go to the Crisis charity, dedicated to helping the homeless. Less than a month later, second on the list will be two more weekend events held at The 27 Club operating September 23 and24 and precisely one week later on September 30 and October 1. Around 120 artists will be playing over the four days. 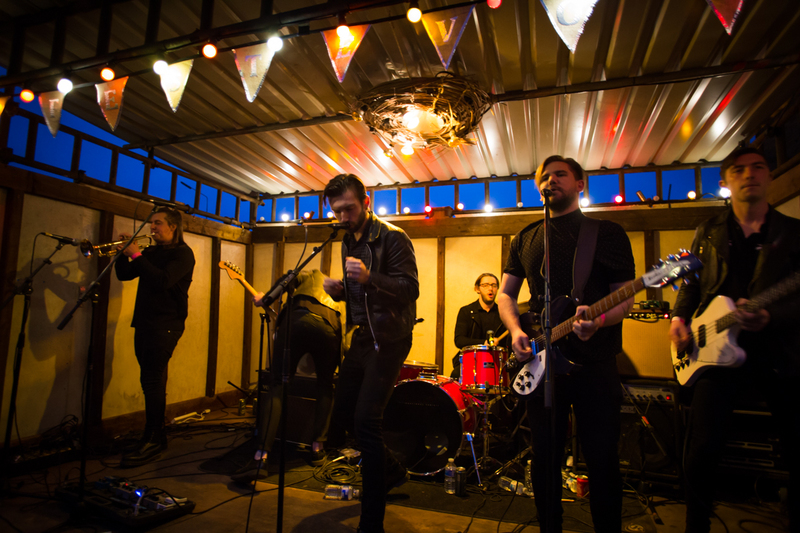 LUMEN, Weekend Wars, FUSS, LUNA and The Shipbuilders each adding to the already mega line up. 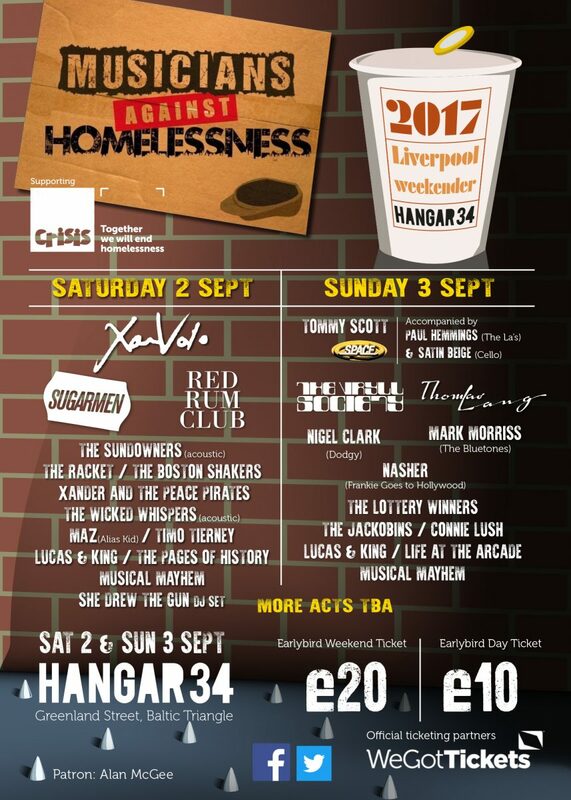 In addition to the latter above weekend, Musicians Against Homelessness has also taken over The Zanzibar, September 30. With Rain, Digsy (of The Sums), Beatnick Hurricane, Hegarty, The Quicks, and Joe Symes and The Loving Kind all on the bill for the night. Tickets costed at £20 for a weekend ticket or £10 for a day ticket. Tickets available here.